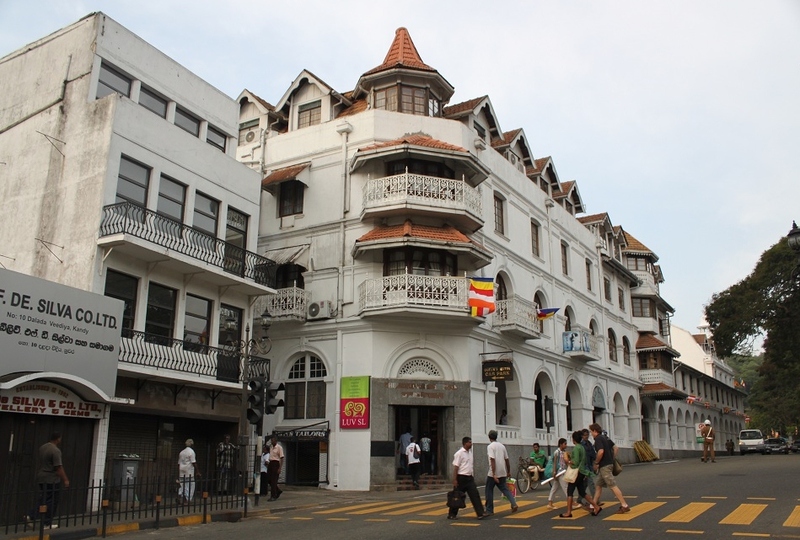 Kandy: More Than Eye Candy | What an Amazing World! In a late afternoon after an almost three-hour train journey from Colombo, I arrive at Kandy train station. It is already dark which is never the best time to come to a place completely new. But I am lucky to meet a nice person in the train who later helps me hail a cab and negotiate the price with the driver. It does not take too long before I jump on the cab and head to the hotel where I will spend four nights in the city. Despite the darkness with only occasional lights from houses, street lamps or Buddhist temples, I can sense Kandy’s hilly terrain which exactly fits the description I read on various sources months before arriving in this city. Between the noise of the roaring engine, struggling to conquer the streets on steeper slopes, the cab driver asks me, “Are you from China?” a typical misidentification I am now used to getting asked when traveling. But the middle-aged man seems to be a nice person who keeps reassuring me that he knows the hotel very well. Not long afterward, I arrive at the hotel, a nice and decent place located on the hill with the view of the city on one side and the forest at the other side. Now I have a better understanding of why during the short cab ride it felt like the city was rather dark. It is because of the dense forest – such a great thing considering the fact that Kandy is actually Sri Lanka’s second biggest city. The next morning I walk downhill to get to the city center and stroll around. I realize the walk back will be a challenge, but after seeing the city and its famous lake from one of the viewpoints on the hill, I put aside that thought and accelerate my pace instead. 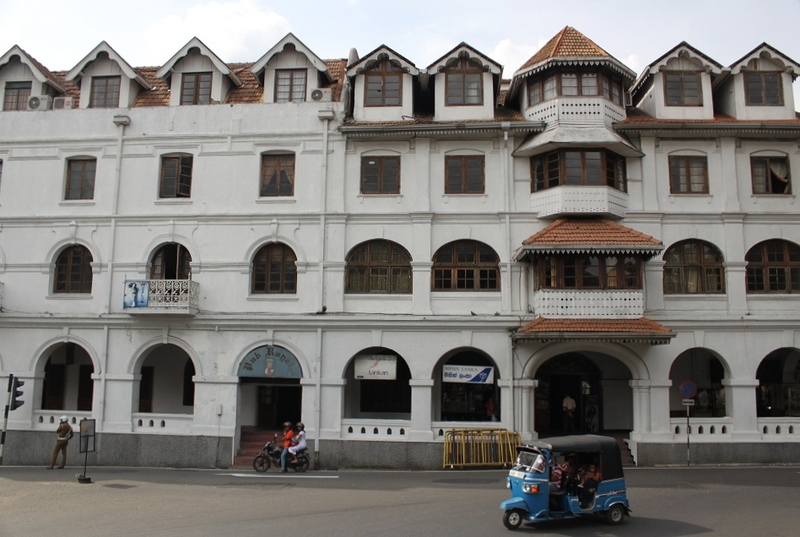 Despite being the second most important city in the country, Kandy has a very compact city center with the lake and the Temple of the Tooth Relic as the focal points. According to Sinhalese tradition, the protector of the tooth relic of the Buddha was also the ruler of the land. Hence it is no coincidence that Kandyans happen to be very proud people. 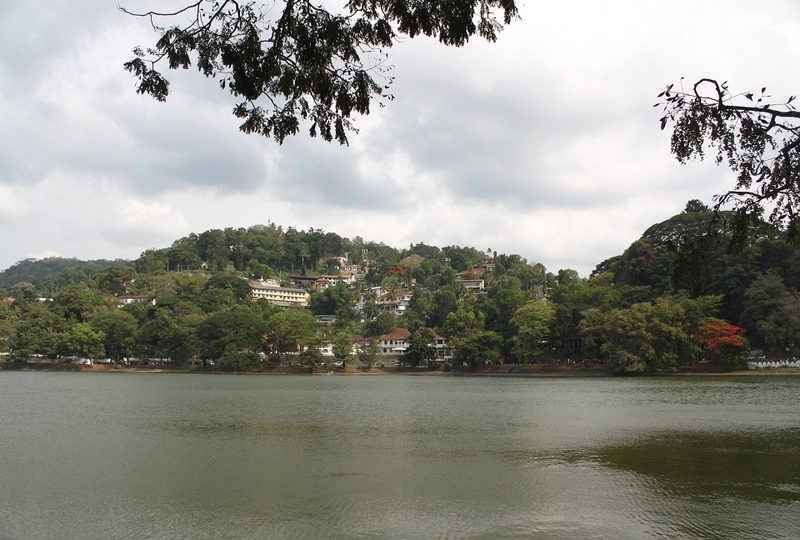 Moreover, Kandy was the capital of the last independent kingdom of the nation before the British took control of the entire island, less than a decade after the completion of the lake in the early 19th century. The lake itself is now one of the most popular spots for people to hang out and spend their leisure time. However, despite being the oasis for the city, it holds a dark story. Built by the instruction from the last king at the time when threat from the British was imminent, the artificial lake claimed the once fertile land where rice was cultivated to feed locals. Disgruntled by the irrational decision, the king’s advisors expressed their opposition to the plan, a move which would lead them to their own demise. The stiff-necked king then ordered the massacre of his own trusted people, ensuring no other single person would dare to challenge his decision. Rumor has it that the bodies of the ill-fated men were buried on the bottom of the lake. Surprisingly, during my short visit, Kandy has so many stories for me to uncover. I wonder how many more secrets it still has behind the walls of the old buildings and the doors of the royal compound. Bama, that lake is serene and beautiful and serene. i hope that the rumor of the buried bodies is not true:( Interesting architectures. Did you go to the tea country? I just don’t get it. Why some people misjudged you to be Chinese (and its derivatives)? I guess it’s a mystery bigger than this world, hahaha. And it’s spelled exactly the same way as candy. You really have to go to Sri Lanka, Lauren! Kandy looks as serene and lovely as I expected Bama! Are you going to post pictures of the Temple of the Tooth Relic? I have to admit something that might surprise you. I didn’t go to the Temple of the Tooth Relic! Yes, you read it right. I didn’t go to the most visited place in Kandy. It’s a long story though, but when I come back to Sri Lanka one day, I’ll make sure to pay the temple a visit. 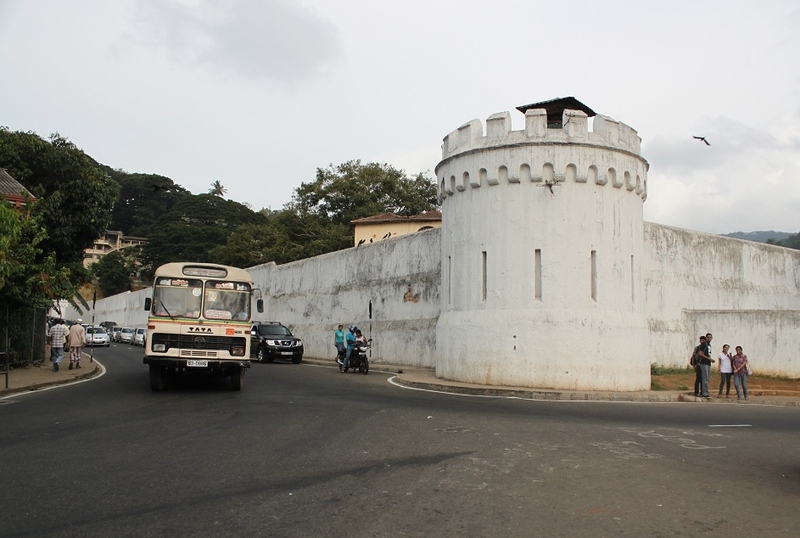 Apart from the noise from the buses, it is such a nice place to base your trip to Sri Lanka’s Cultural Triangle. The lake adds more peaceful atmosphere to the city. HI, I’m from Kandy Sri Lanka and I love your blog 🙂 Amazing read. 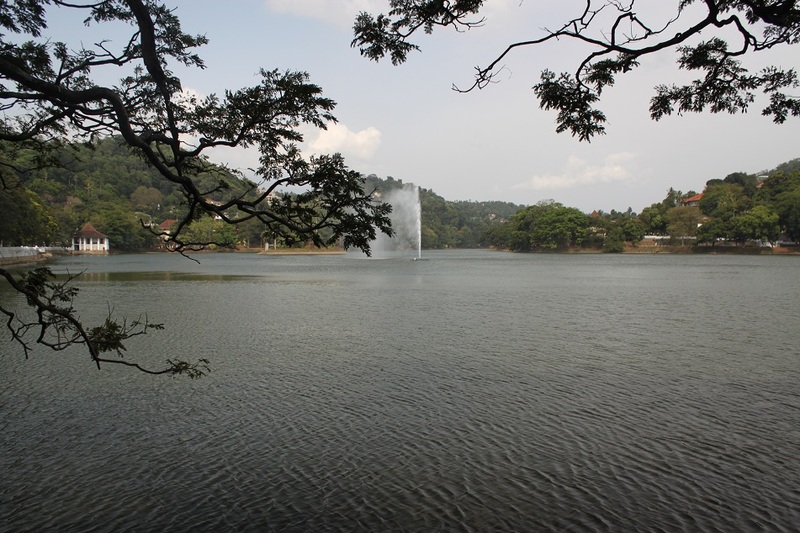 Pingback: Rejuvenated in Kandy | What an Amazing World!